Instant Pot Hard Boiled Eggs in the pressure cooker is the easiest recipe you will find for perfect pressure cooker hard boiled eggs. My proprietary set it and forget method has gone viral. Forget the 6-6-6 method. Forget the 5-6-6 method. Forget the 5-5-5 method and all those crazy silly other numbers people want you to remember. and wait for Eggs to finish cooking and then have to plunge them into an ice bath to prevent the yolks from becoming green. I want my Instant Pot, Mealthy MultiPot or Pressure Cooker to save me trouble and extra steps. I really don’t want to have to watch my watch just to make some damn Hard Boiled Eggs. 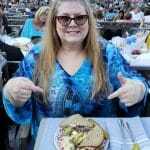 Another recipe you will love is my Instant Pot Potato Salad [Summer Picnic]. The eggs and potatoes cook at the same time! If I wanted to do that, I’d use my stove. 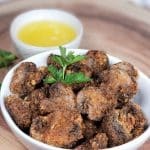 My recipe has hit the pressure community by storm and it is so reliable, other bloggers are adding my recipe to their cookbooks.. I want my Instant Pot, Mealthy MultiPot or Pressure Cooker to save me trouble and extra steps. I don’t want to have to stare at it just to make Pressure Cooker Easy Hard Boiled Eggs. We love Pressure Cooker Easy Hard Boiled Eggs in this house and I usually make a dozen at a time. Feel free to make more than 12 or less than 12. Just Take Me To the Best Hard Boiled Egg Recipe Ever! I get so many comments and questions on my posts, so I try to provide as much information as possible about the recipe to help you, my readers. I try to provide as many tips and tricks and answer anticipated questions, so your recipe will be the best, the very first time, including how and why my methods work. This extra bit of information should help to provide you with a perfect cooking experience every time. 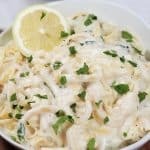 If you would rather skip right to the recipe, please scroll to the bottom of this page, where you will find the full and complete printable recipe. Instant Pot Hard Boiled Eggs make yummy snacks and my favorite snack is an egg with my yummy homemade house seasoning. I used to use plain salt, but one day, while standing over the sink to eat my egg, I grabbed my homemade house seasoning instead. It was so yum. I love the slight sweetness and the tiny burst of celery seed. 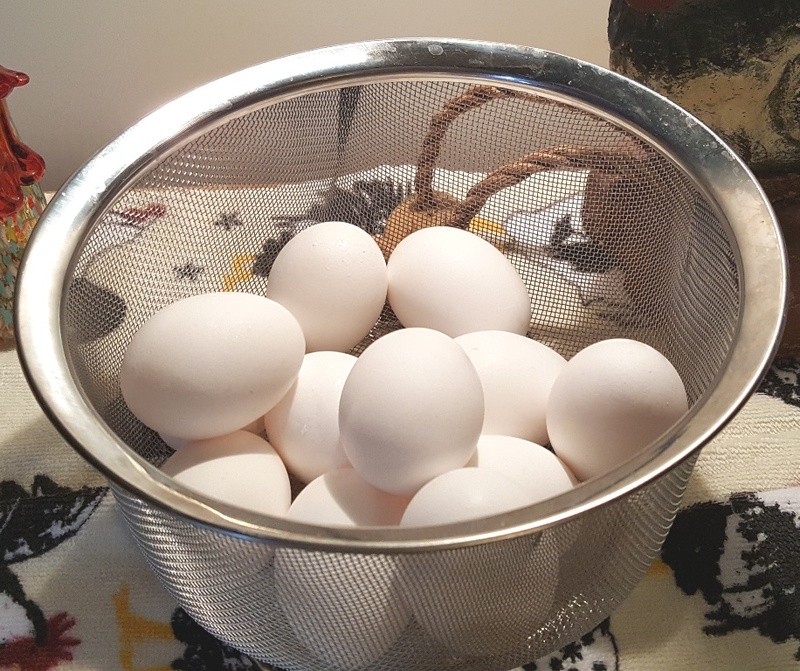 This Steamer/Strainer Basket is perfect for using to make Instant Pot Hard Boiled Eggs. But, hold on a second….I am going to show you another method, before continuing on……just in case. 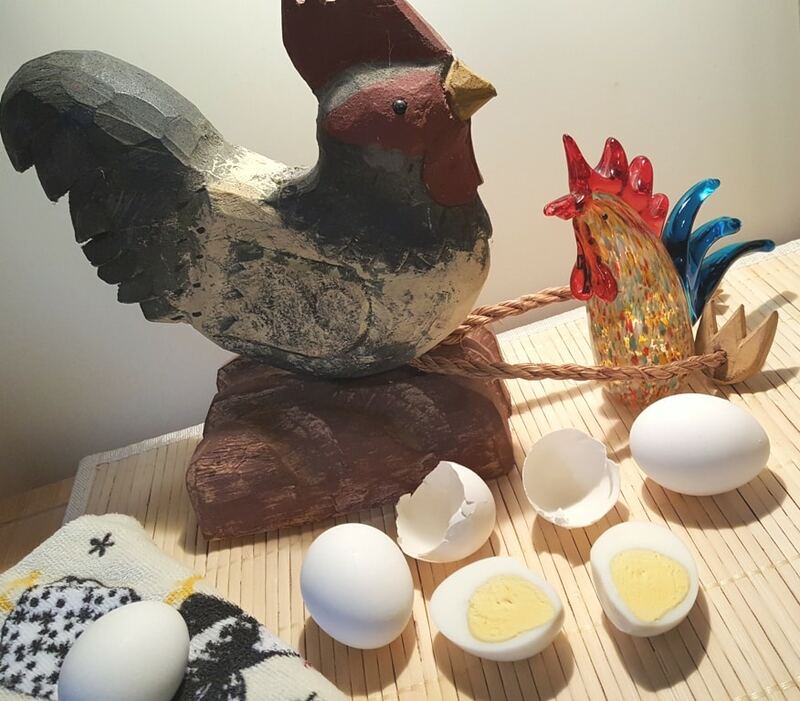 Here is another method to cook Eggs for Hard Boiled. 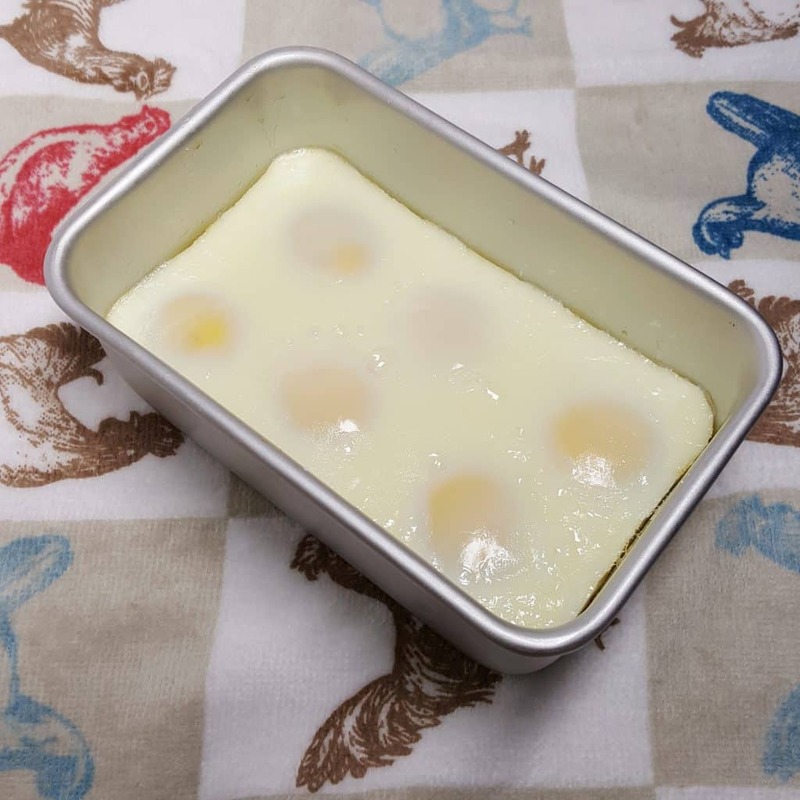 Check out this really cool method to make a Pressure Cooker Hard Boiled Egg Loaf. It is all the rage now. Try this method with my delicious Pressure Cooker Low Carb Deviled Egg Salad Roll Ups recipe. But, please continue with this method, as it is fabulous and great for using Eggs for snacks. How Many Eggs Can I Cook? As many as you can fit into the Instant Pot, Mealthy MultiPot or Pressure Cooker. The beauty of this recipe is that you don’t have to watch timers and you can walk away. 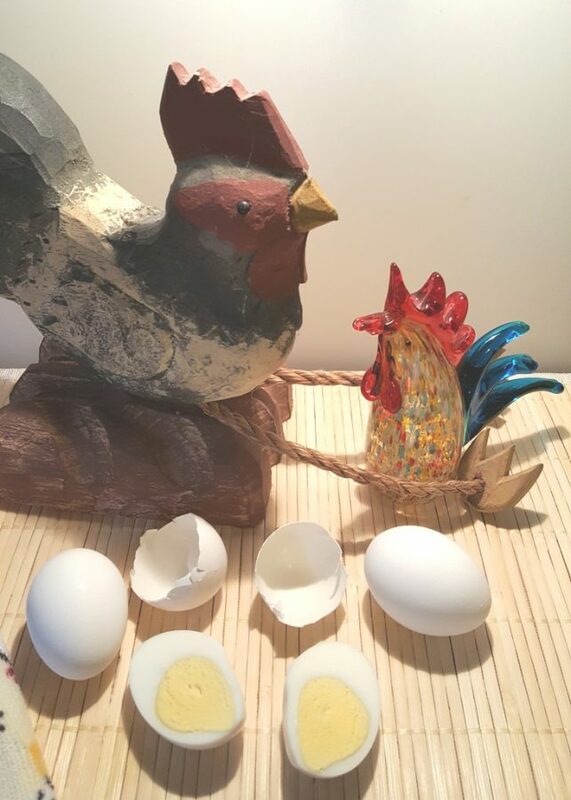 I don’t mean the next day…… within reason, like after the pressure releases on its own ………..
Can Instant Pot hard Boiled Eggs Be Eaten Warm? They are quite tasty when warm. I suggest peeling the eggs while running them under cool water, so they are not burning hot. Not a Single Broken Egg! 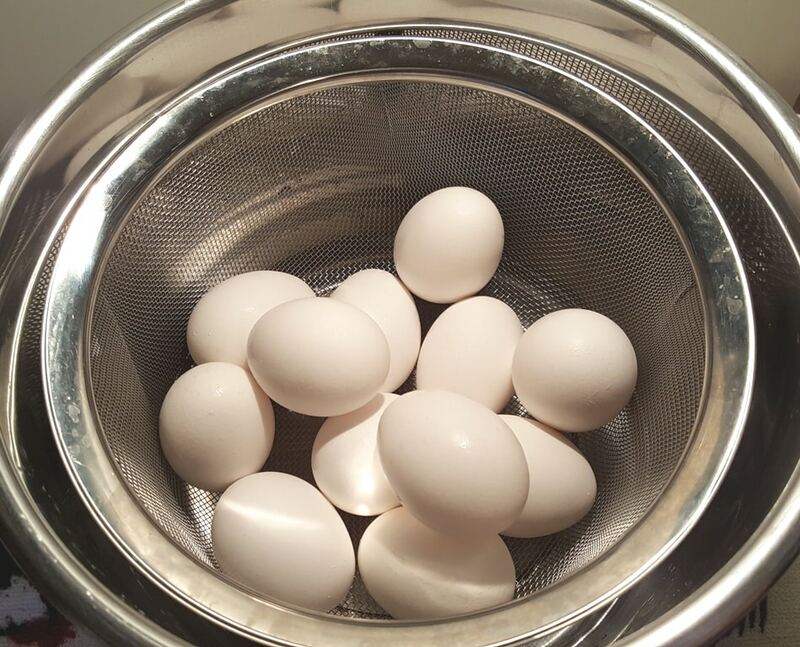 See, perfectly cooked, Instant Pot Hard Boiled Eggs without any silly number challenge. The shells pop right off, no problem. 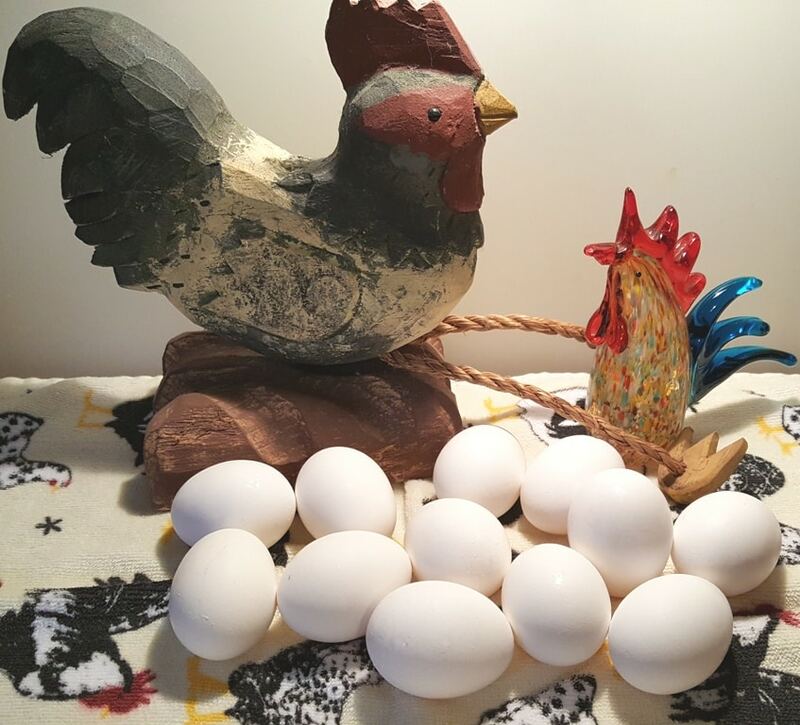 If you are using Farm Fresh Eggs, the shells may not pop off as easily as eggs purchased at a grocery store. Enjoy. 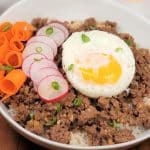 More Easy Instant Pot Egg Recipes to Enjoy. How many eggs do you cook at once? Place one cup of water into the Pressure Cooker cooking pot. Place basket of eggs into Pressure Cooker cooking pot. Lock on lid and close Pressure Valve. Cook at High Pressure for 2 minutes. When Beep sounds, wait 12-15 minutes and release the rest of the pressure. Open when you feel like it (within reason). 12-15 minutes is good. If you plan to be away longer, drop the cook time to 1 minute. Peel eggs now or place in the refrigerator for later use. If you want your eggs a bit faster, set the pressure cooker to 3 minutes and pull them out after pressure is released manually (QR). PIN this Instant Pot Hard Boiled Eggs (Pressure Cooker)! This is truly the easiest way to do eggs ever!! I’ve done 2dozen eggs over three days (12 in one batch, the two batches of six each.) All perfect. I found 10 minutes NPR works as well as 15. Thanks for freeing us from standing over our cooker. Let me start off by saying I have never been able to make hard boiled eggs. One of the reasons I wanted an Instant Pot was with hope of finally being able to make hard boiled eggs. I received an Instantaneous Pot for Christmas and just tried your recipe and want to shout THANK YOU!!!! This recipe worked perfectly! I look forward to trying many more of your recipes. How long cook time for extra large eggs? Or Jumbo eggs? This worked perfectly! My 89 year old mother was amazed. Said it was the easiest batch of deviled eggs ever. I have jumbo eggs – do I need to increase the high pressure cook time? 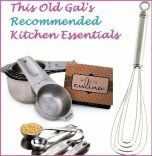 Thanks so much – LOVE all your recipes! Just my first eggs in my pressure cooker. The inside shell is light brown on the larger end and has a different smell than when they are boiled. Is this normal? Otherwise the eggs look perfect. Do you let them cool off before putting in the fridge? I would think they’d sweat if I did it right away.. Thanks Jill, You’ve just made my life easier. One question, if I cut back to 1 minute will I get a softer yoke? In your Notes you said”If you want your eggs a bit faster, set the pressure cooker to 3 minutes and pull them out after the natural release.” Did you mean quick release? My eggs were not completely done using this method. The yolks were very yellow and still softish in the middle and only two of the four peeled effortlessly. I did 2 minutes and then 15 NPR and 15 minutes before I opened up the Instant Pot.I am at 3300 ft (altitude). Should I have adjusted time to maybe 3 minutes. This is the second time I have tried eggs. The first time was 5-5-5. The result today were marginally better than that. So, this is a super lazy question. If I choose not to peel the eggs before storing in the fridge, will they still peel easily after being refrigerated? Thanks! So wait for 15 minutes and then 15 more? This method makes so much sense to me since when I hard boil on the stove I follow Martha’s “bring to a boil, turn off, cover for 10 minutes, cool”. All the 5-5-5, 12-2-467, etc made eggs harder than putting them on the stove. Thanks for this! My first time making HB eggs in the IP. I was so confused by all the 555, 841, steam, low pressure etc. Came across your ‘recipe’ and I thought to myself, well this one makes sense plus I didn’t want to babysit the darn IP. They are perfect. Absolutely perfect. Thank you! Can I follow this method using 5 dozen eggs in an 8 QT Instant Pot or would I have to add more time? What is the largest amount that can be done at one time? 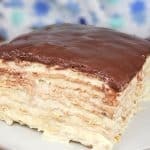 I followed this completely, and normally love all your recipes! I used 13 eggs, 7 of them cracked! I wonder why? Will the time change if doing this method in the 3qt? I noticed that some things had different timing i believe from not taking as long to come to pressure. Will be helping my mom this weekend in her 3qt. I havgave the 6 at at home and this method is perfect! I have medium sized eggs. Should I adjust the time? I keep posting this method on my personal Facebook page as well as on the Instant Pot Facebook page. Your method seems to take altitude, egg size, and temperature of the eggs into a natural consideration. 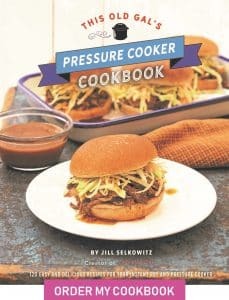 If it takes 5 minutes to come to pressure or 15, it is hard to overcook them. I did a dozen for deviled eggs and they peeled perfectly and were perfectly cooked. Thanks for your innovative method; it is the best. I looked into getting one of the steamer baskets that you linked in your article/recipe. This particular steamer apparently ONLY fits inside of the 6 quart pot IF you break off the handles!! There’s got to be a better way to go. Have you tried any other steamers with success? No need to break off the handle. It has a silicone handle that lays flat around the pot. I love it for my 6 qt IP. There is more than one RSVP Steamer Basket; look for one that has folding handles. The one linked here seems to have fixed handles. There are numerous comments on Amazon about bending the handles upward or breaking them off to make them fit. Do you turn the instant pot off during the 15 minute NPR or on “keep warm”? Thank You! This recipe is super simple! For the faster version, do you mean 3 minutes on manual and then a Quick Pressure Release or 3 minutes on manual then a Natural Pressure Release? Thank you again! I just tried this – I live at High Altitude and they were definitely not cooked. They’re back in for another round. Any tips? OMG! These are the most tender, delicious hard-boiled eggs I ever have had! THANK you. Absolute best method for hard cooked eggs. I refer people to your method all the time and include the link to your page. No cracked eggs, done perfectly every time. Your method always worked perfect for me in my 6 qt. Any thing I need to change now that I have switched to a 8 qt??? The? Water? Any difference?? Sorry to hear someone plagiarized your IP, but I’m grateful you’re still putting this out there and that I found it! Someone who thinks like me? Following now for sure! What adjustments for an 8 qt? Do you put the eggs in cold? Or do you allow them to come to room temperature first? 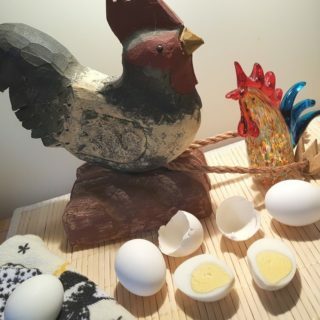 I’m getting ready to try my farm eggs for Easter. I will forever be grateful that I found this information. Followed direction exactly and my eggs were perfect. Thank you for figuring all this out for us. When my pressure-cooking time ends, my IP switches to ‘keep warm’. Is that okay or should I make sure the IP is actually off after the NPR, etc have finished? If it stays on ‘keep warm’ then will the eggs keep cooking and possibly overcook? Thanks! I’m an IP newbie. Thank you for a fantastic recipe! I set the pot for one minute, then left them for about 20 minutes after that. They are perfect! Tender with beautifully done yolks! I used your method and followed your recipe to the letter, but the next morning, when I went to make the egg salad, I had a dozen “poached” eggs, not hard boiled! I did 2 minutes on high, 1 cup water in liner, eggs in steamer basket, 12 minute wait to release and another 12 minutes before taking them out to put in refrigerator. What happened to my eggs?! I was so excited for your no fuss way. Maybe I missed something? I have been using this recipe for over a year-always with a perfect result. Last 2 times, the eggs have not been cooked…an unpleasant surprise when one tries to peel them for breakfast! Any ideas??? I am going to adjust the cooking time to longer, but am so discouraged as this was a tried and true recipe! These were the best and easiest hard boiled eggs I’ve ever made in my life. And they turned out perfectly! Not seeing an answer. If you want to do more eggs, do you adjust time and water? I have a soft silicone steamer basket with “feet” of 1/4inch. 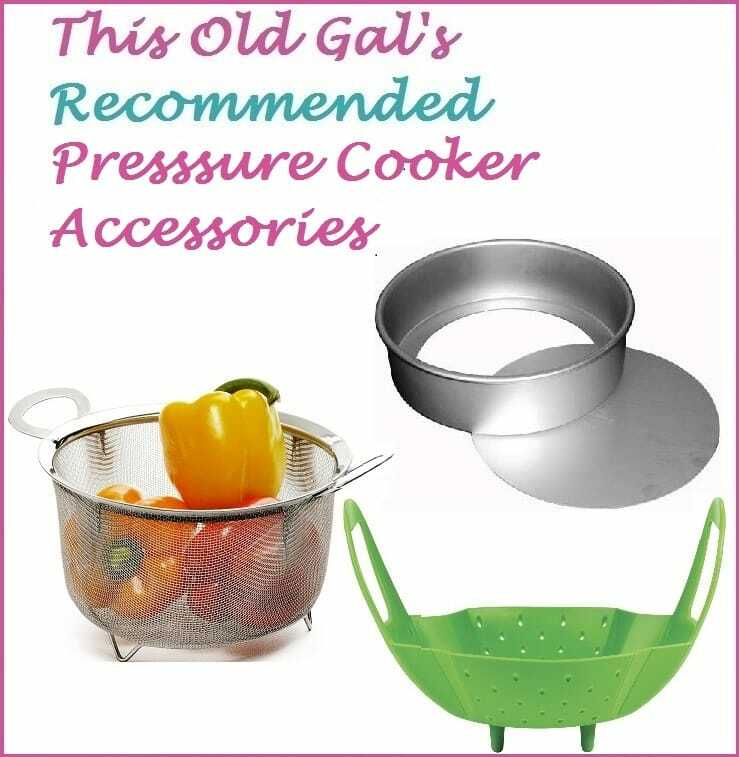 Can I use this instead of the metal steamer basket? I’m anxious to try this. Can I use a soft silicone steamer basket with “feet” of 1/4inch that I already have instead of buying a metal one? These were awesome as always. I always chuckle when I hear the other methods recommended, then I send them here. I made 18 eggs, turned 10 into deviled eggs and all 18 were gone in 30 minutes. Thanks again! I have a power so cooked when recipe says high pressure what button is it? Have used this method a number of times. Love it! I experimented with timing. With my Duo60, 2 minutes high and 7 minutes NR produces a great hard boiled egg without a green ring around the yolk and a tender white. I suspect every instant pot heats differently. 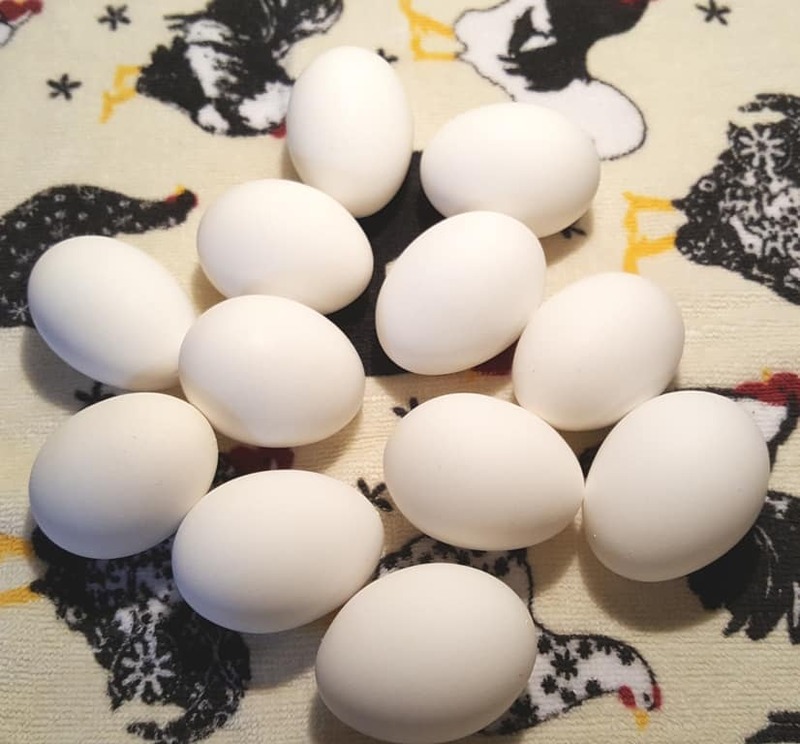 I make 1 dozen hard boiled eggs every week and they rarely crack and peel very easily.